Cup foam lance Basic 3 41120550 https://www.kaercher.com/ae/accessory/cup-foam-lance-basic-3-41120550.html High-quality, simple and durable: Basic 3 cup foam lance for high-pressure cleaners with a flow rate of 900–2500 l/h. Halves the cleaning agent consumption while maintaining optimum foam quality. 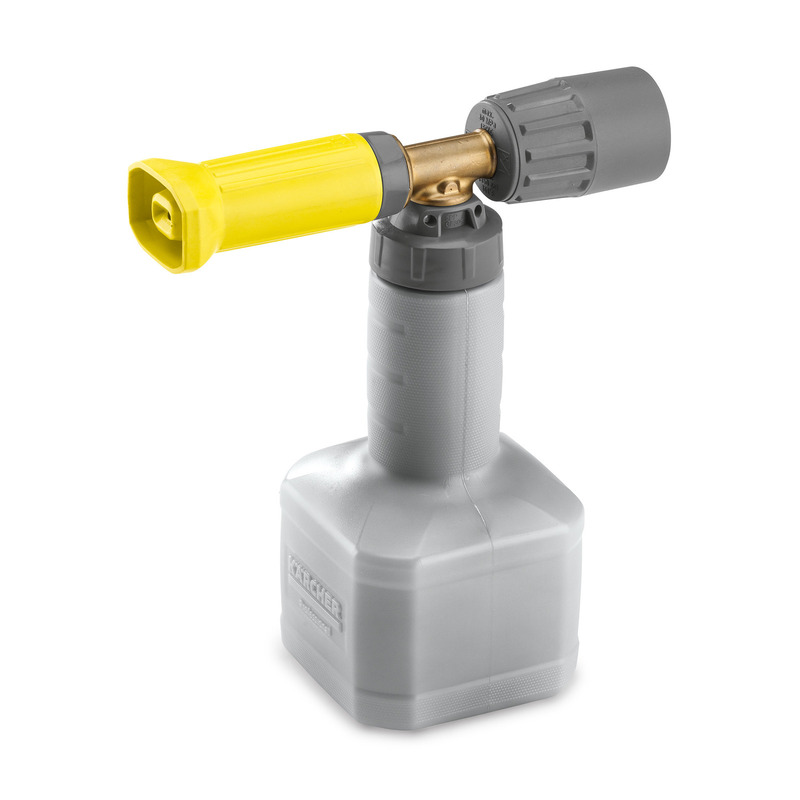 High-quality, simple and durable: Basic 3 cup foam lance for high-pressure cleaners with a flow rate of 900–2500 l/h. Halves the cleaning agent consumption while maintaining optimum foam quality. Our new Basic 3 cup foam lance was developed for Kärcher high-pressure cleaners with Servo Control function and a flow rate of 900 to 2500 litres of water per hour, and it impresses with its extraordinary features. For example, when using it in conjunction with our RM 838 VehiclePro foam cleaner, it allows up to 50% less cleaning agent to be used, while ensuring impressive foam quality. The robust base body made of brass and the use of other high-quality materials guarantee a long service life and the clever, three-stage dosing method via an integrated plate effectively prevents unintended adjustment. The cleaning agent container also has special features: the stable and ergonomic shape offers an additional handling option on the neck, a large opening makes it easy to fill and a multi-start thread makes it quick to replace.